Posted by Breckenridge Associates Real Estate on Thursday, March 7th, 2013 at 5:07pm. 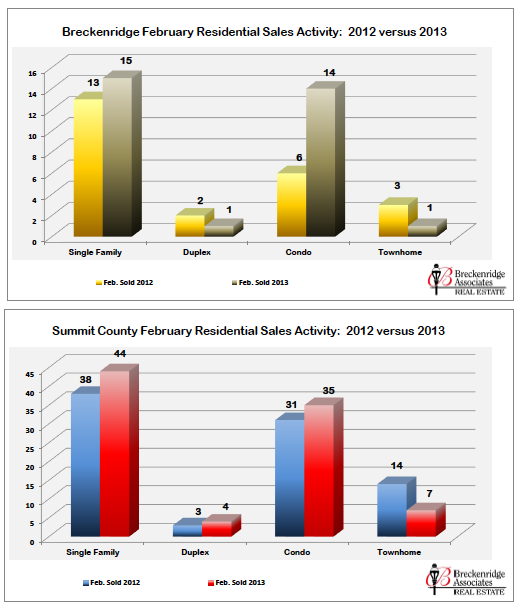 February 2013 saw an increase in the number of properties sold in most areas compared to the same time as 2012. In Breckenridge, 15 Single Family Homes, 1 Duplex, 14 Condos, and 1 Townhome sold. 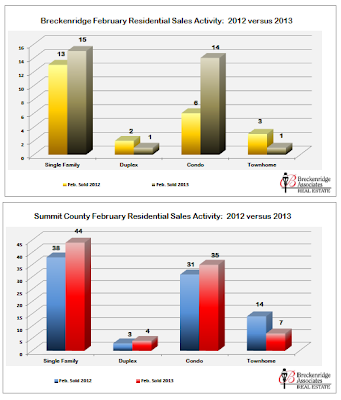 For Summit County, there were 44 Single Family Homes, 4 Duplexes, 35 Condos, and 7 Townhomes sold in the month of February.